Is your team laid back and low key? Even if they aren’t, it’s the perfect type of vibe for your next Los Angeles team building event. And especially when it comes with Southern California coastal views to boot. Redondo Beach, California fits this bill perfectly with its famous pier and cozy beaches. Just imagine. You and your team on a high-energy scavenger hunt around Redondo Pier. Or a competitive beach Olympics tournament right on the sands of Redondo’s Avenue C Beach. And even with the laid back feel of being a beach city, don’t forget that Redondo Beach is just a few miles south of LAX international airport, the Lakers training facilities, and the epicenter of Los Angeles tech start-ups, Silicon Beach. By having your next team building event in Redondo Beach, you’ll have the best of both worlds. It’s a small town feel with big city attractions. 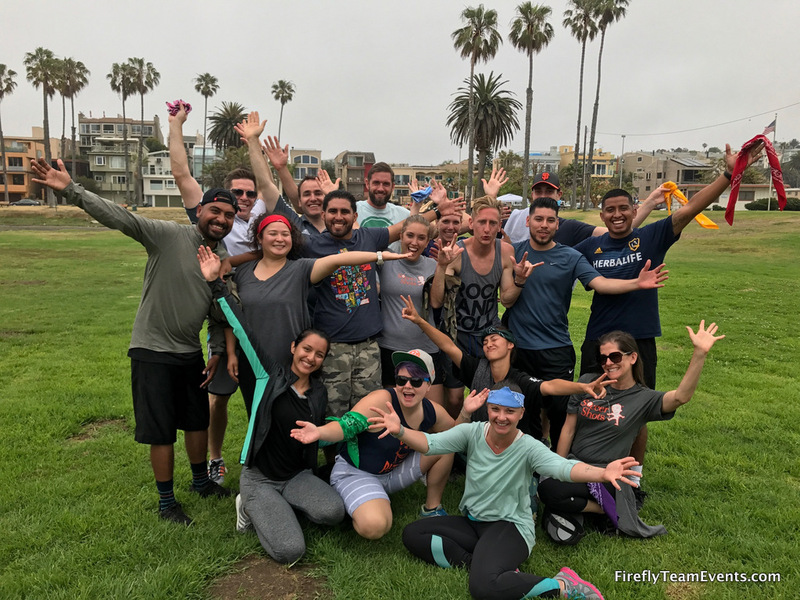 Call us at 877.267.1939 to plan your next Redondo Beach team building event or email events@fireflyteamevents.com. 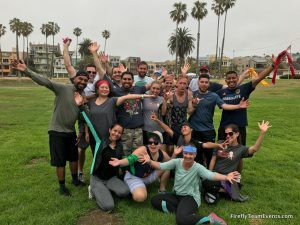 View our activities list to see what we can offer your team in Redondo Beach and throughout the city of Los Angeles. Redondo Beach Pier Scavenger Hunt – You and your group will have plenty of space for a scavenger hunt on the sprawling historic Redondo Beach Pier. Watch your team laugh and photograph their way to victory. Using our iPhone and Android compatible mobile app, they will complete wacky missions and checkpoint challenges if they want to win. 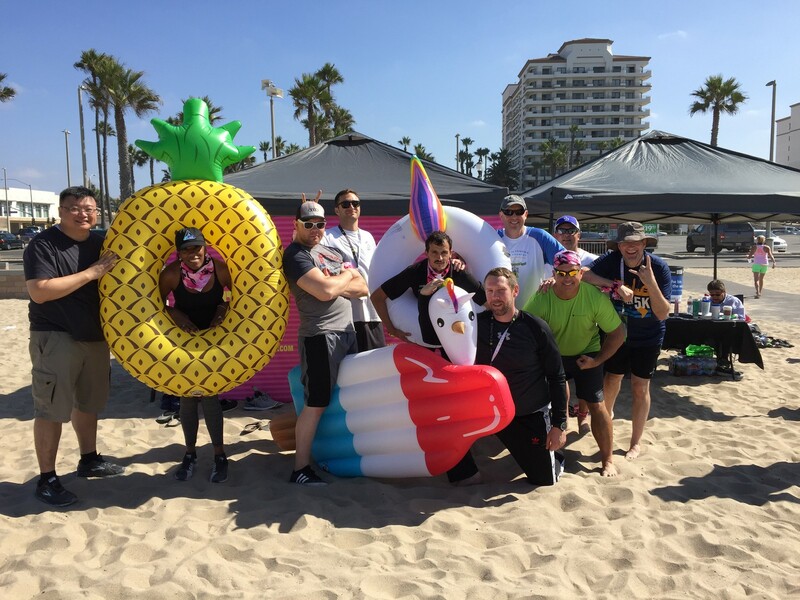 Redondo Beach Team Olympics – Your teams will compete in head to head Olympic style challenges, right on the beach! They will need to communicate, assume leadership roles, problem solve, and trust each other if they want to declare victory over all others. We can produce these team building events on the beaches in front of vibrant Redondo Pier or the quieter and less crowded Avenue C Beach. Beach Dodgeball Tournament – Our dodgeball tournaments are a popular team building option and can be run in a variety of different settings. They’re perfect for both sales meetings and social team outings. All tournaments are refereed by our trained facilitators, because we love fun but not funny business in regards to safety. If you time your tournament right, you might even be able to catch the incredible coastal sunset. Historic, people watching, shops, restaurants, and epic ocean views: these are the words that sum up Redondo Beach Pier. We can plan a high energy photo scavenger hunt that will have your team racing up, down and around all nooks and crannies of the pier. If your team needs to get outside and breathe in the ocean air after a sales meeting, Redondo Pier fits the bill perfectly. The Redondo Beach Performing Arts Center is a world class venue for all types of event programming. It is home to the Los Angeles Ballet and offers a variety of entertainment and cultural events throughout the year. There is even an option for facility rentals for corporate meetings and events. This waterfront boutique hotel is a coastal oasis in the heart of Redondo Beach. With views of the marina and within walking distance to the beach and pier, it’s a perfect home base for your next corporate retreat or meeting in Redondo. The Shade Hotel itself has over 5,000 square feet of versatile meeting and event space.